Rookie Wolves athletes Hayden Hollowell and Jamie Wigmore both had podium finishes at the ACAC #1 Indoor Meet at the Edmonton Garrison on Sunday. Hollowell finished second overall, and first amongst the college runners, in the Mens 1500m. He clocked a time of 4:23.53, which is the second best indoor 1500m ever recorded by a Wolves athlete. Wigmore, in her first ever indoor race, placed third in the Womens 1500m in a time of 5:14.16. Fourteen year old Brittany Duval, representing the Wolves Athletics Club, narrowly missed the podium, recording a time 11:49.42 in the 3000m, good for 4th place overall. In the combined ACAC team competition, the Wolves finished third overall behind MacEwan University and Concordia University College. The Wolves women placed second, while the men were fifth. Next up for the Wolves tracksters is the Athletics Alberta Provincial Age Group Championships in Edmonton on the first weekend of March. 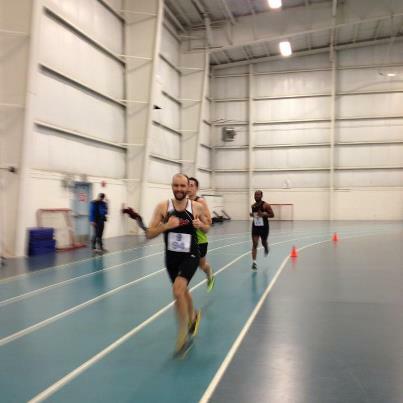 This entry was posted in Indoor Track and Field and tagged ACAC, Concordia University College, Edmonton, GPRC Wolves X-C Running, Grande Prairie, Indoor Track and Field, Wolves, Wolves Athletics Club. Bookmark the permalink.